It’s week 10 on our quest to visit and write about a Cincinnati brewery each week in 2019. I’m hoping that we’ll be able to cover just about every one by year’s end! 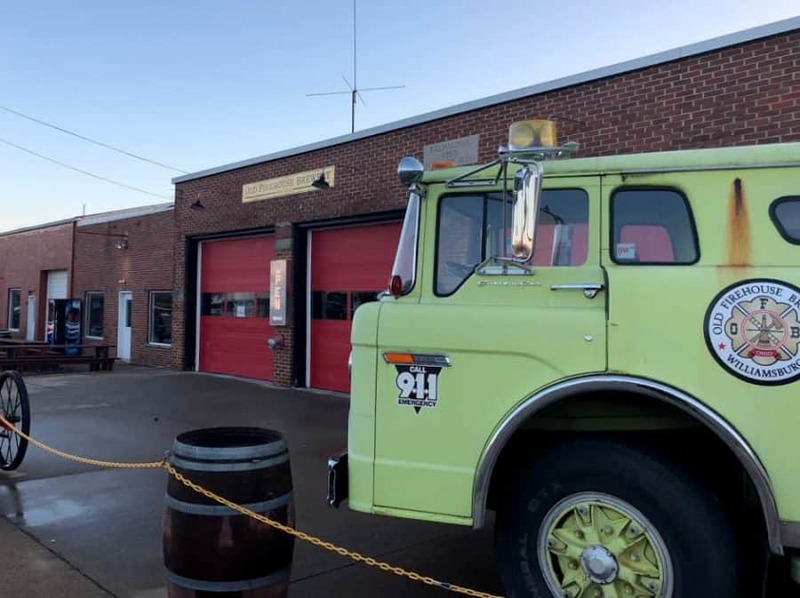 We recently headed out to Williamburg, Ohio to visit Old Firehouse Brewery. Aptly named, Old Firehouse Brewery is located in an old firehouse. AND it’s owned/operated by a former firefighter! The 3,000 square foot family-friendly taproom is open and FULL of fire memorabilia. The bar is at one end (with seating) and there’s lots of table space throughout the place. 3 large garage doors line the front and open up in nice weather. They have lots of outdoor table space. We enjoyed our beers and loved getting to see the space. Want to really make a day of it? Do what we did and visit Mt. Orab’s Sons of Toil Brewing while you’re out that way too! When can I go? Open everyday except Monday. Do they fill growlers? Yes, they do. They also fill howlers (half-growlers). Do they serve any other alcohol? No, they just do beer. Where do I park? There’s a small parking lot next to the building, On street parking is also available. Do they have food? They offer small snacks (chips, etc.) and occasionally have food trucks come in. They do allow you to bring in your own food. How big is the taproom? Can we hold an event or a party there? The taproom is on the smaller size, as the brewing process takes up one of the bays. There is no event space, but you can contact them to reserve tables for special occasions. Is there any outdoor seating? Yes. Sit at one of the large picnic tables or bring your own chair for when the garage doors are open. Is the taproom kid friendly? Yes, they have board games as well as a giant Connect Four. Is the Old Firehouse Brewery pet friendly? Yes, both inside and out.